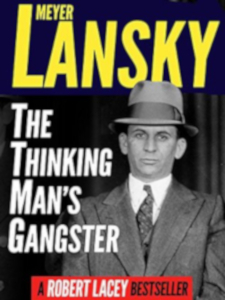 Based on dramatic new documentation and firsthand interviews with Lansky’s close friends and business associates, with law enforcement experts, and members of the Lansky family, this brilliant work of biography and social history was a groundbreaking exploration of oganised crime in America and our enduring fasciation with criminals. It remains a powerful and irresistible narrative in which, by separating the strands of fact and legend in Meyer Lansky’s career, Lacey reveals a truth about the gangster life in America that is far more fascinating and dramatic than fiction. First published by Little Brown (UK) in 1991; e-book reissued by Apostrophe Press in 2016.